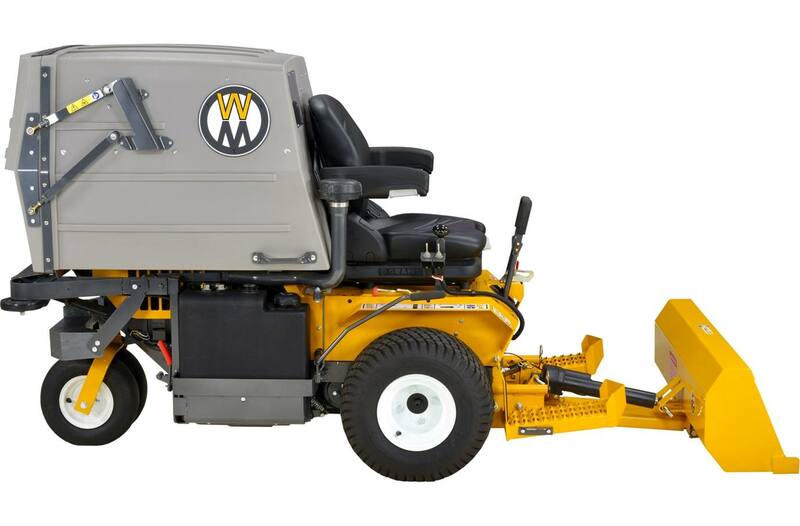 A versatile tool for landscaping work, the Loader Bucket will push, scoop, haul and grade dirt, stone, gravel and mulch. 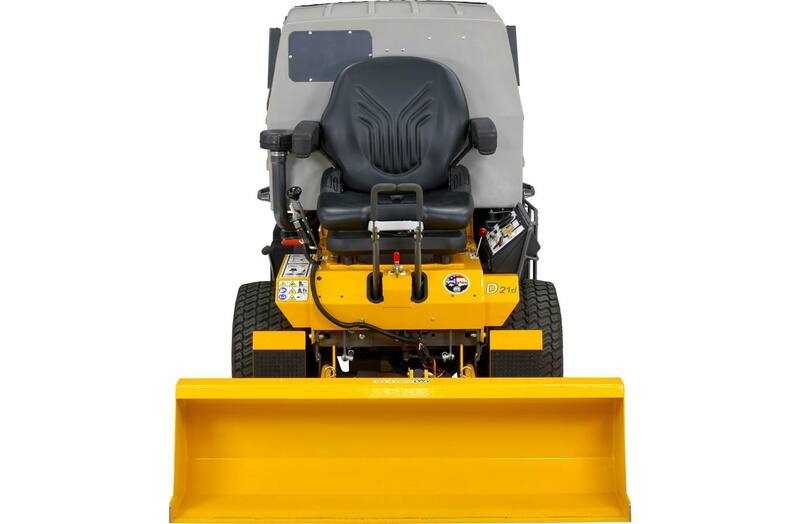 It lifts approximately 180lb (82kg) and holds 2.25 cu.ft (64 liter) of material, and features 14" ground clearance for transport. 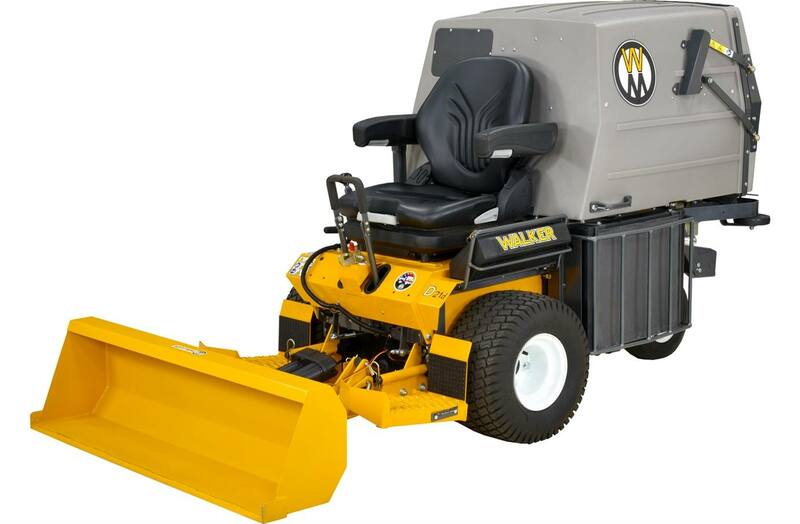 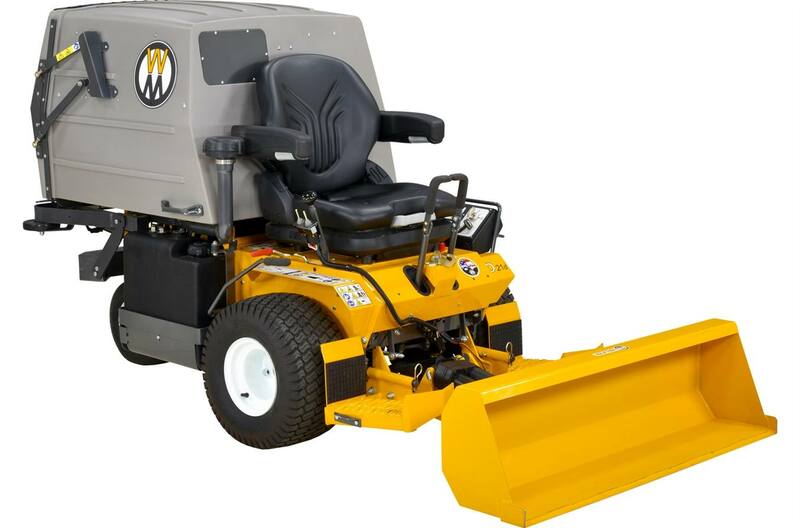 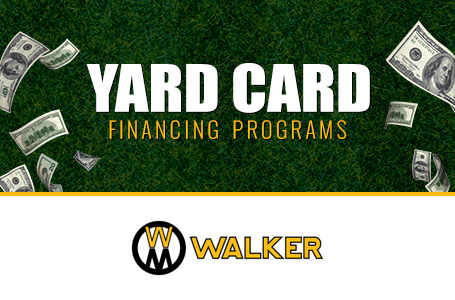 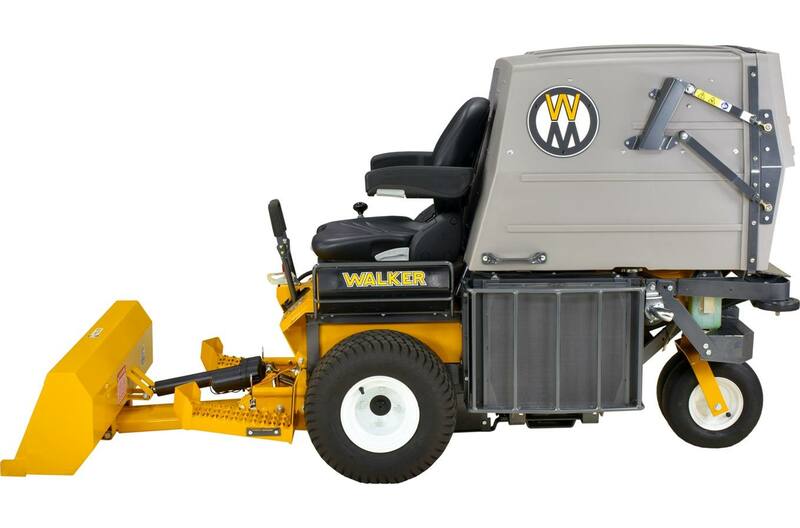 The Loader Bucket has a high strength steel cutting edge with tilting action, and is powered by a 500-lb electric ram, and is available for use on each Walker Mower except models S, B and H.
This hard-working implement adds great value to the investment made in a Walker riding lawn mower.